Despite a 10th straight outing from RHP Erick Fedde (L, 5-4) in which he did not allow more than one earned run, the Potomac Nationals (57-46, 23-12) fell 3-1 to the Carolina Mudcats (42-64 13-23) Saturday night. Fedde allowed two unearned runs and matched his season high with nine strikeouts, but two defensive misplays led to both runs against the right-handed starter. After both Fedde and RHP Ryan Clark (ND) worked a perfect first inning, both gave up a run in the second frame. Clark walked 1B Jose Marmolejos to begin the second, and an RBI double by RF Drew Vettleson gave Potomac its only lead of the night. Carolina quickly tied it in the bottom of the frame, as 1B Isaias Tejeda reached on a throwing error by 3B David Masters and scored on an RBI double by CF Keith Curcio. Neither team scored over the next four innings, as the game was tied at one through six frames. Working on his longest outing of the season, Fedde gave up a leadoff single to Tejeda in the seventh, but struck out the next two men. 3B Jordan Edgerton singled and put men at first and second base for LF Ryan Gebhardt. Gebhardt reached on an infield single to SS Osvaldo Abreu, while Abreu’s throw to first base got past Marmolejos, which allowed Tejeda to score the go-ahead run. RHP Tommy Peterson relieved Fedde with two outs in the inning and got DH Luis Valenzuela to pop out on the first pitch. The Mudcats added on an insurance run against Peterson in the eighth inning, as SS Omar Obregon led off the frame with double that bounced off the chalk down the left field line, while 2B Travis Demeritte had his first hit with the Mudcats, an RBI double off the wall in left field. Demeritte’s double made it 3-1 Carolina, the eventual final. Out of the Carolina bullpen, RHP Matt Withrow (W, 6-5) worked around a single in a scoreless seventh inning, RHP Carlos Salazar worked around a base hit in a scoreless eighth inning, and RHP Chad Sobotka (SV, 2) pitched a perfect ninth inning, as the Mudcats snapped a three-game losing streak, while Potomac fell for the first time in the past four games. Fedde has now allowed only four earned runs in his last 50.2 IP and has an ERA of 0.71 over that stretch. The righty has not allowed more than one earned run in an outing since he gave up five earned runs over five innings in a victory over the Winston-Salem Dash on May 15th. In the loss, the top five hitters in the Potomac order went a combined 0-19, while the bottom four went 4-12. 2B Austin Davidson extended his on-base streak to 15 games with a single in the seventh inning, while Marmolejos reached base for the 11th consecutive start. In search of a series win, Potomac will look to LHP Matthew Crownover (1-4, 5.29) Sunday night against the Mudcats. Crownover allowed two earned runs over 5.2 innings in his lone start, a no-decision, vs. Carolina this season. RHP Enderson Franco (5-8, 4.59) is set to start for Carolina. Franco is 0-2 with a 4.67 ERA in three starts vs. the P-Nats this season. First pitch at Five County Stadium in Zebulon, NC is set for 6:00pm Sunday night. The Potomac Nationals Baseball Network will carry live coverage Thursday night beginning with the “P-Nats Leadoff Show” at 5:45pm. 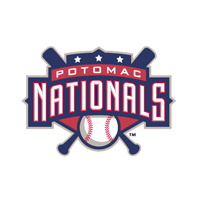 P-Nats Gameday Audio on the Potomac Nationals Baseball Network is available atwww.potomacnationals.com or via the TuneIn Radio App.